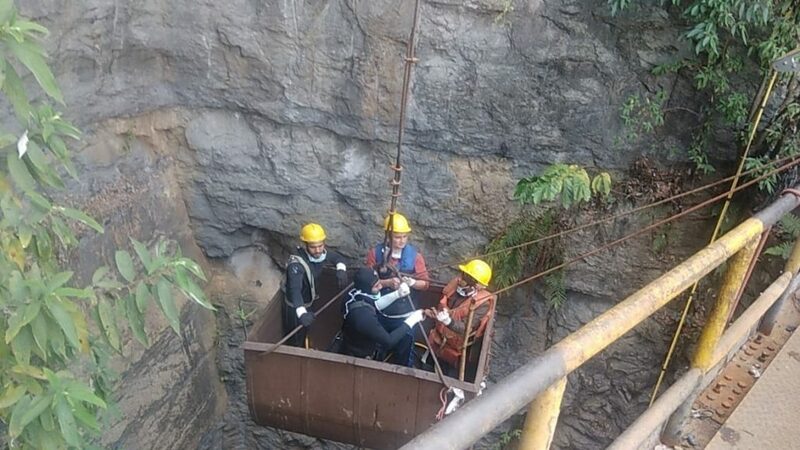 The Indian Army on Monday joined the ongoing search and rescue operations for 13 miners trapped in an illegal mine at East Jaiñtia Hills district of Meghalaya. The Indian Navy divers were not able to retrieve the second body of the miner, which was detected on Saturday by an underwater remotely operated vehicle (UROV) inside the rat-hole coal mine at Ksan village. According to information, the UROV got “badly entangled” with the second wooden cart inside the illegal mine. A defence official, on condition of anonymity said the army troops would be providing logistics support to the Navy divers team, who are deployed in the search and rescue the trapped miners. The miners have remained trapped in the coal mine since December 13 last year. The official also said the Army troopers have already started setting up their camps near the mine tragedy site. Stating that the Navy divers “couldn’t make any headway in retrieving the body of another miner from inside the rat-hole mine”, an official involved in the rescue operation, said the UROV remained non-functional after it got badly entangled with the second wooden cart inside the mine. The official also said the army troops are now making efforts to recover the UROV. The Army troops will lower another new UROV on Tuesday inside the mine to retrieve the other body, the official said. While the first body of a miner from Chirang district in Assam has been handed over to his family members after its recovery recently, the second body was detected by the Indian Navy on Saturday morning at 3. “Indian Navy struggled very hard and continued to retrieve the second body from the rat hole in the main shaft,” said spokesperson for the rescue operation, R. Sungi. Sungi informed that the CIL pumped out water from two old shafts for 34 hours and the total discharged of water was 38,55,600 litres. The KSB operated their pump from for five hours and the total discharge of water was approximately 9,90,000 litres. The dewatering of water by the Odisha fire service was suspended for the time-being to allow the Kirloskar Brothers Limited to install their pump in one of the old shafts. The process of installing and pipe fitting is in progress. Susngi said the NDRF also assisted the Indian Navy and other agencies that involved in the operation.